Sometimes the best lessons are the ones you think of on the fly. I often read books to the children in my class on my iPhone. It’s probably quite disconcerting for an outsider to walk in and see me reading away on my phone. I do worry about abandoning actual books however often the books I want to read my students aren’t available in the library or at a bookshop in Singapore so I just order them on my kindle for iPhone. One of the bonuses of this is that the children don’t get to see the cover of the book until we are well into the story. When I read Out of My Mind to a previous class I didn’t show them book cover until later on. Immediately they were able to make a connection between the plot point and the cover of the book. 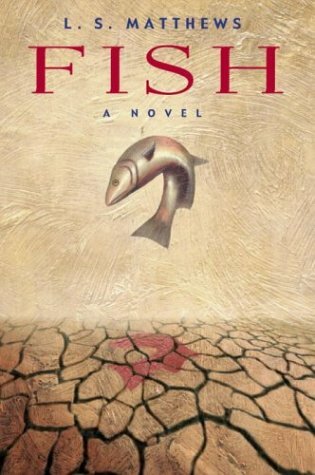 That lesson must have been rolling around in my head because when it came time to introduce Fish by L.S Matthews I made a spur of the moment decision to follow the book’s theme of leaving bits of information out. Instead of me introducing the story I challenged the children to draw their own cover of the book based on the title. 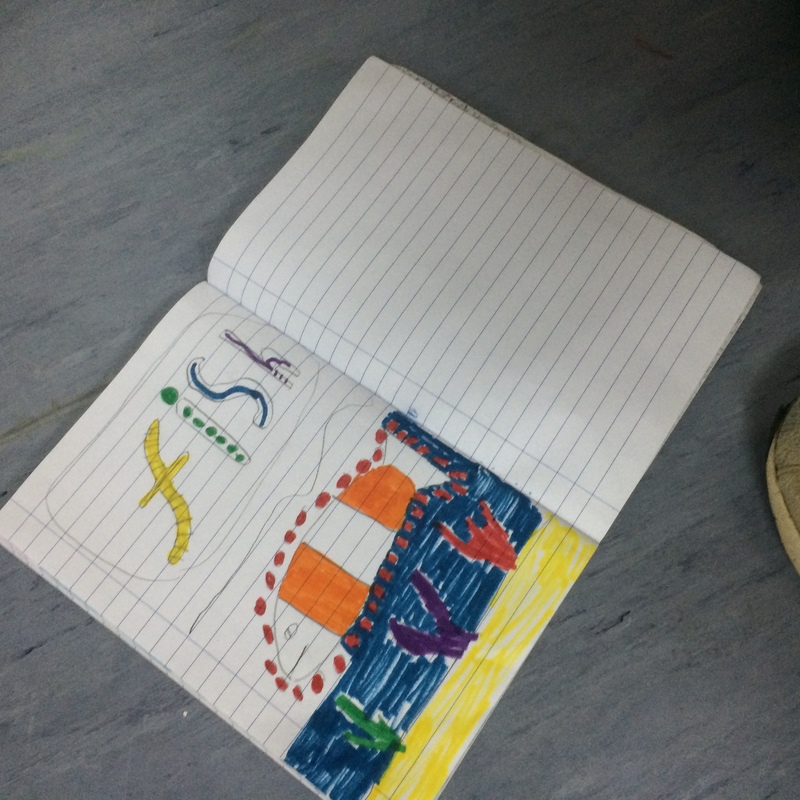 When the children finished their designs we had a discussion about what the book was about. Obviously the children class decided the book was about a fish. Was it about one fish or many fish? 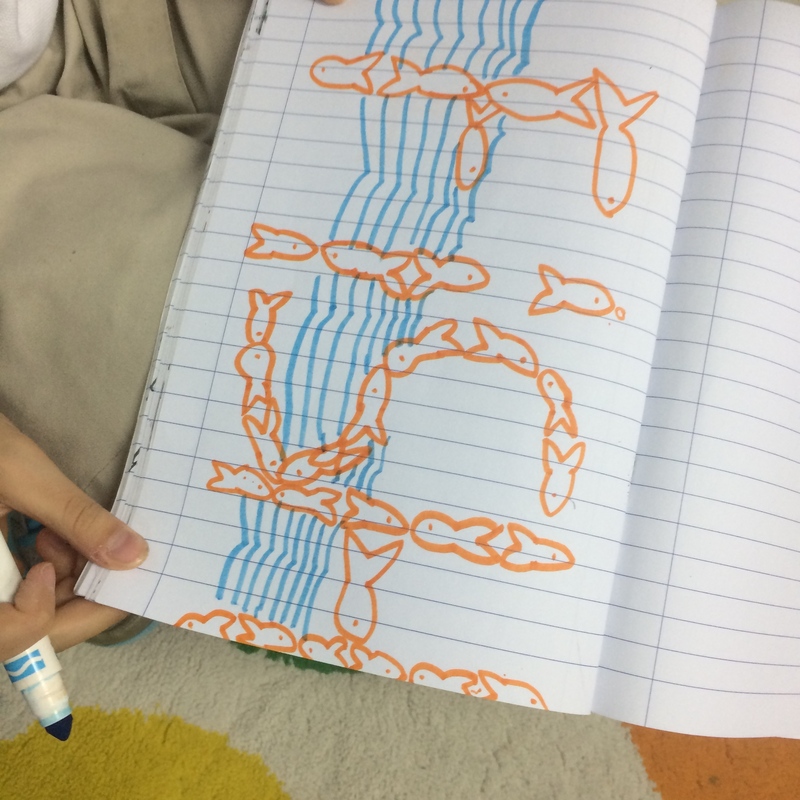 Some children made a connection that it might be about a journey because fish swim in the ocean and up rivers. Maybe it was going to be an adventure story like Finding Nemo? Was the fish was a real fish or a toy like in Edward Tulane that was only alive when the children weren’t around. Pretty heavy analysis in terms of text to text and text to world connections from my Year 4 class. It’s a desert no trees. 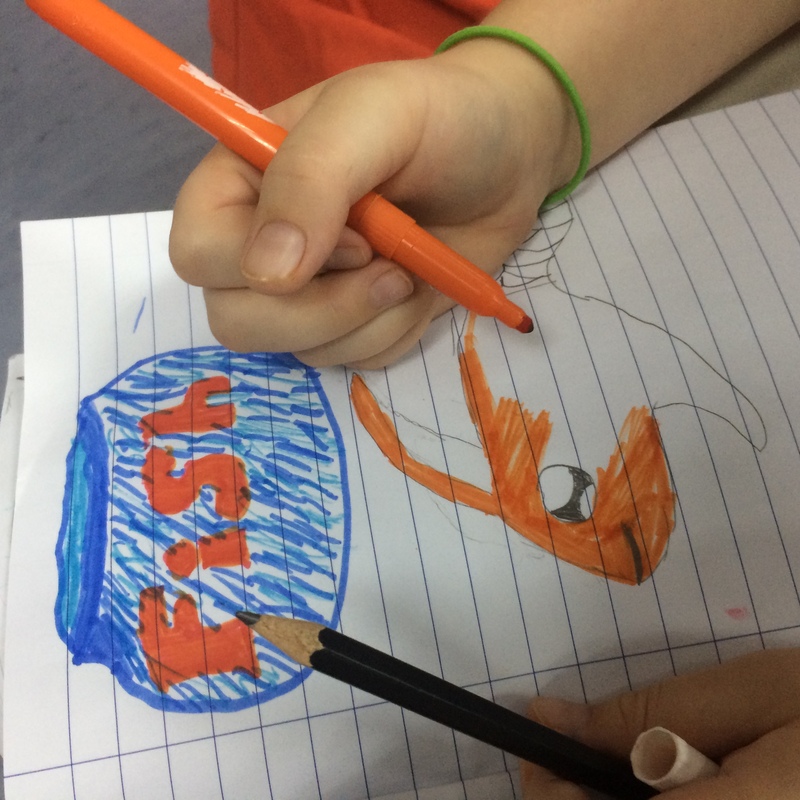 The fish is brown yet most of the children had drawn orange fish like Nemo. But there’s a salmon there – maybe it jumped out of its bowl. The area didn’t hadn’t had much rain as the rocks showed signs of thermal weathering (more links to unit of inquiry). The journey could be to find food and water as it looks like there’s a drought. The act of drawing provoked a discussion about the plot, themes and characters in the book. By setting the scene for the reader doing the heavy lifting, the children were already primed for the ambiguous story. They began to use evidence and make connections to other texts and prior knowledge. Sometimes the best discussion are ones you make on the fly.